(OPride) — Ethiopia’s dream to be the next China is becoming true. As Beijing rapidly expands its global footprints, its overseas national interests have to be protected. This is why China is already moving away from its traditional hands-off approach — a policy of non-interference in state’s domestic affairs — to become one of the global influencers of our time. China’s paradigm shift is more evident in Africa than anywhere else as Beijing continues to deepen its presence on the continent. A closer examination of China’s bilateral relations with Ethiopia makes this point clear. Prior to 1991, when the incumbent regime in Ethiopia came to power, the two countries did not have much contact but their mutual respect and interaction have grown over the past two decades. Ethio-Chinese relations had improved even remarkably in the last few years. Ethiopia is a regional hub with several international organizations headquartered in Finfinnee (Addis Ababa). Beijing recognizes the potential of this for access to regional powers and markets, as well as the Ethiopia’s immediate and a seemingly insatiable need for loans and other development aid to bolster its infrastructures. Ethiopia also has a large and growing consumer base that’s already about 100 million strong. In fact, China has been Ethiopia’s largest trading partner. The current Sino-Ethiopia trade volume exceeds $3 billion. Ethiopia is also relying heavily on Chinese loans to develop its foundations. For example, the Tekeze River Dam in Tigray region, one of Ethiopia’s mega hydroelectric projects and the highest dam on the African Continent, was built by the Chinese. China is also financing new dams being built on the Omo River in southwestern Ethiopia and the Grand Renaissance Dam on the Blue Nile River. 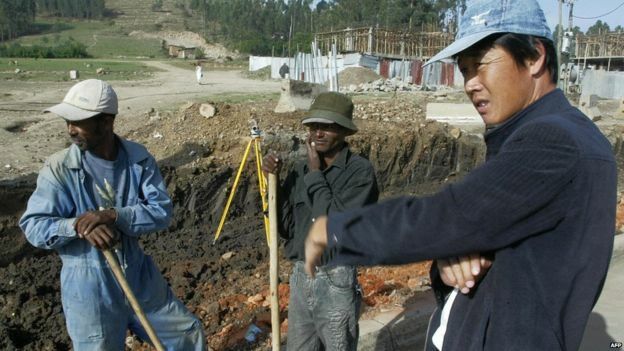 The Chinese have built most of the roads in Ethiopia, including the Ethio-Djibouti railway project, the telecommunications infrastructure, and the much-celebrated light rail system in Addis Ababa. In fact, according to the Heritage Foundation and American Institute, China’s total investment in Ethiopia in 2016 is over $20 billion. The economic relationship between China and Ethiopia has become stronger through both Chinese direct investment and trade in Ethiopia since the early 2000s. The sum of Chinese contracts in road construction, electricity and telecommunication sectors show a surge in Chinese foreign direct investment in the last few years. Dozens of Chinese firms are currently engaged in the construction of roads throughout the country, managing nearly 70 percent of the roadwork in Ethiopia. Ethiopia is hoping to become the hub of light manufacturing in Africa and the government plans to establish 6 industrial parks within the next few years. The plan is backed by Chinese entrepreneurs and the Asia Development Bank Member States. The construction of an industrial park is estimated to cost around $500 million per park. Ethiopia will not benefit as the industrial zones in part because the project is slated to flood the local market with competitive Chinese products, traders and workers. Besides, China’s political economy is based on state-sponsored economic relationship. As such, the investments are not meant to produce sustainable development in Ethiopia rather to secure Beijing’s long-term geopolitical strategy in the Horn of Africa. Chinese influence in Ethiopia today is equal to over rivals that of any other country, including the US. 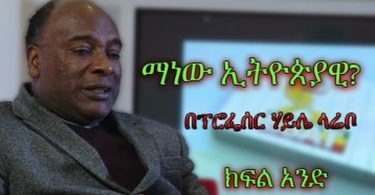 The leadership of the ruling EPRDF (Ethiopian People’s Revolutionary Democratic Front) certainly gives the impression that it is more comfortable with the style and leadership of the Communist Part of China (CPC) than with the leadership and ruling parties of Western countries, including the US. The EPRDF and the CPC frequently exchange visits and have even formalized their interaction. While the EPRDF has an on-going relationship with a few Western political parties, it is doubtful they are as close as they are with the CPC…at the political level, China and Ethiopia have been supportive of each other. The Ethiopian Parliament passed a resolution in support of China’s Anti-Secession Law. Ethiopia has joined other African countries in stopping resolutions in the UN Human right Commission that censor China’s human rights practices. Former prime minster [sic] Meles Zenawi stated emphatically that Tibet is internal affair and outsider have no right to interfere. Nevertheless, it appears that China recognizes the strategic importance of its relationship with the Ethiopian government regardless of the unpredictable economic realities in both countries. Both see each other as comrades in arms who benefited more from bilateral agreements and preferential relations. China has also been active on Africa’s regional security scene. In 2008, Beijing was part of the global anti-piracy effort in Somalia. It has also contributed over $100 million aid to the African Union (AU) to bolster its combat capacity and peacekeeping missions. In addition, China’s 2014 decision to deploy its military in South Sudan shows Beijing’s growing, direct involvement in Horn of Africa. China recently completed a naval base in Djibouti to host a few thousand Chinese troops. This suggests China is in full force to challenge the U.S. military positioning in the Horn of Africa. It is also the clearest indication of China’s departure from its traditional hands-off approach. As U.S. Ambassador to Djibouti, Tom Kelly, noted recently, China’s marine base in close proximity to United States’ Camp Lemonnier poses a clear concern for U.S. national security interests. Djibouti is vital Washington’s fight against terrorism in Africa and around the globe. The US uses Camp Lemonnier for its anti-terrorism operation across Africa, including the U.S. fight against Al-Shabab in Somalia, and a similar operation in Yemen against the Al-Qaeda in the Arabian Peninsula (AQAP). That mission involves controlling the Red Sea and Suez Canal, one of the world’s busiest shipping routes. It remains to be seen how China’s presence alters the patrolling of these vital crossings. China and Ethiopia have also increased their military cooperation since Chinese Premier LI Keqiang visited Addis Ababa in May 2014. China has a resident military attaché in Ethiopia and is the main provider of light arms and armored vehicles for the country. To be clear, China is not yet directly influencing Ethiopian military. China is propping up the regime in Addis for the long game — its motivations are diplomatic, strategic and ideological. As such, at least for now, the Chinese appear far more interested in economic gains and in building Beijing’s influence and soft power across the continent. Encouraged by Beijing’s huge financial assistances and political support, Ethiopia has become increasingly bellicose and autocratic, curtailing free speech and assembly rights and increasing arbitrary arrests of the opposition’s leaders, as well as the use of torture. 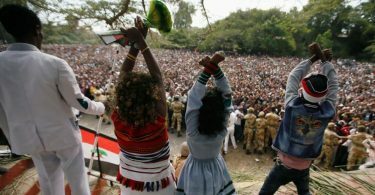 Since November 2015, Ethiopia has been rocked by widespread and popular Oromo protests. The protests erupted over fears by Oromo people and activists that the Addis Ababa and its surrounding Oromia Special Zone integrated development master plan will illegally displace millions of Oromo farmers from their ancestral lands and eventually cleanse the Oromo culture and identity from the affected areas. The plan was a continuation of the government’s land grab policies that have already displaced more 200,000 Oromo farmers and their families for the development of industrial zones. China has truly been crucial to the Ethiopian regime’s survival. Ethiopia sees Beijing as a substitute to the Western countries and their aid conditionality. There are several similarities to China of the 1980s’ in the Ethiopia of 2016. Ethiopia daily violates the political and civil rights of its citizens by denying them the basic freedoms of speech, association and assembly. 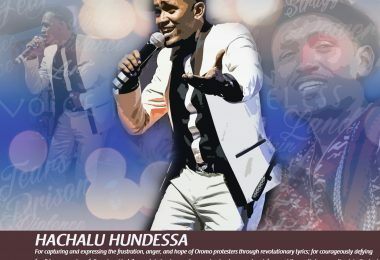 Ethiopia’s State of emergency and draconian rules decreed in October 2016, mainly to suppress any dissent voices in the country can be related to the Cultural Revolution in China and its aftermath into the early 1980s. Ethiopia is on the trail that China blazed 30 years ago. Foreign observers and the Ethiopian regime continue to zoom in on the economic side of things. But, beneath the rosy headlines, Ethiopia’s journey toward becoming Africa’s China is manifesting itself in more ways than one. Dee Abdella is an activist based in the U.S. State of Colorado. 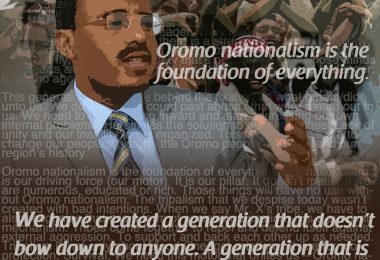 OPDO’s statement on #OromoProtests: Business as usual or new departure? Has Ethiopia really achieved the MDGs? Time to change the view of Western towards Africa ….